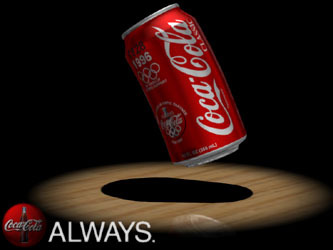 When creating my 3DStudio "Coke Can" project, I needed a texture map of the graphics on a 12oz can of Coca-Cola. I sat down with a can, measured it, laid it out and drew up the graphics. The image was then wrapped around a 3D can model for rendering. 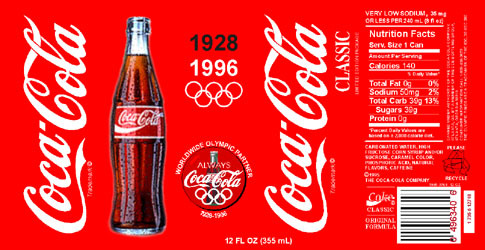 This would be an authentic Coke Classic look back in 1996. The can as it was rendered in 3DStudio.